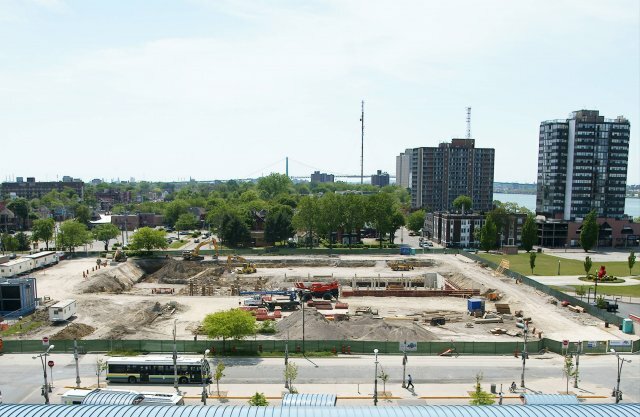 Eleven weeks into the start of site servicing and construction, work progressed even further this past week on building foundation at the site of the future Downtown Windsor Family Aquatic Complex on the Western Super Anchor lands. 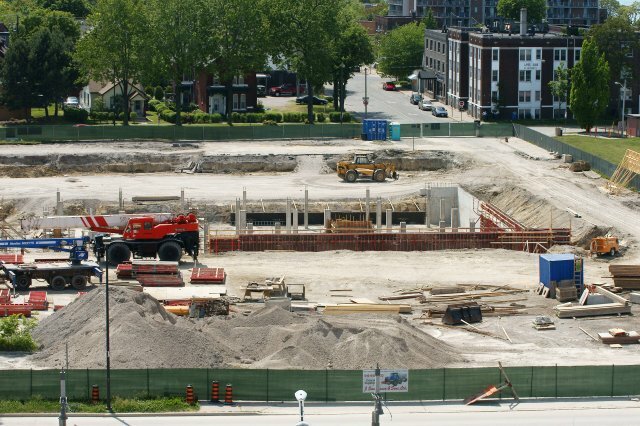 Now that heavy construction is in full swing, the entire area planned to house the atrium, change rooms, offices and basement mechanical areas is having its foundation built. 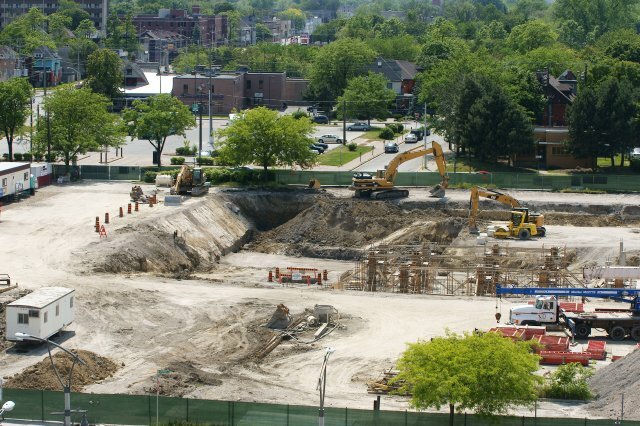 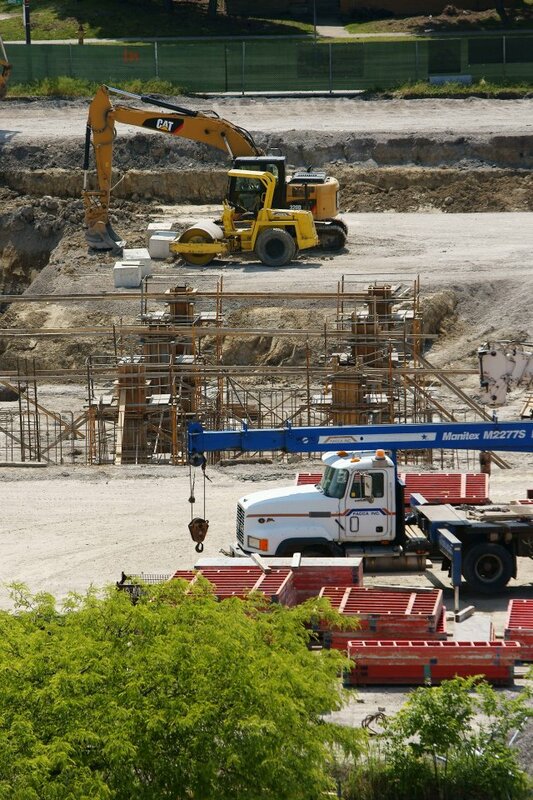 At the south end of the property, workers continued excavation in preparation for foundation work to move to that end.